Van der Steur's first commission as City Architect was this secondary school on Afrikaanderplein, the square whose southern end it terminates in grand fashion. It consists of an elongated portion with classrooms on both sides to the north-east and a taller block containing the assembly hall and gyms to the south-west of the main entrance which is marked by a tower. Its composition of cubic volumes recalls Dudok. The complex also includes a botanical garden and gardener's residence. 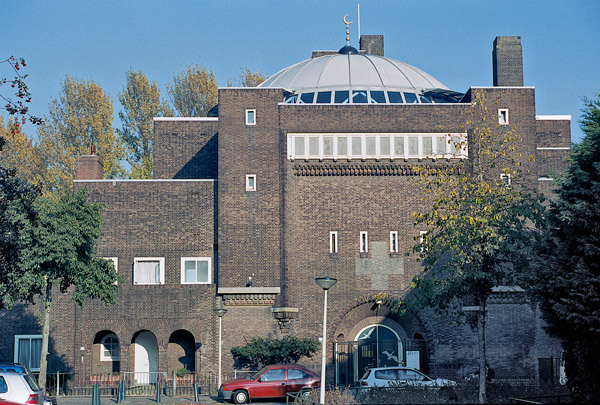 In 1996 the school building became a mosque, for which a dome was added to the assembly hall.